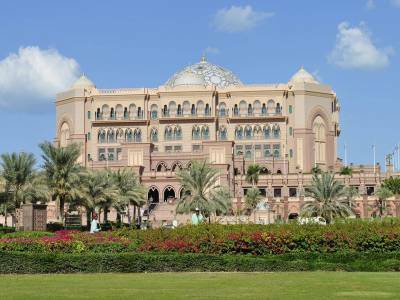 The Emirates Palace is a high profile palace style hotel situated at the heart of the Abu Dhabi City in the country of United Arab Emirates or UAE. The hotel was established in the year 2005 by the government of the city to facilitate a grand welcoming gesture to all the guest of the city and the country. 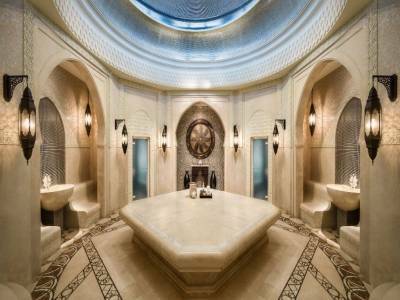 The Emirates Palace is a construction that surpasses all the limits of luxury. It was the aim of the designers to cater the travellers the true feel of Arabian elegance, Arabian grandeur, Arabian culture and Arabian hospitality in every way possible. In a word the Emirates Palace depicts the way of life of the Arabian essence. The Emirates Palace consists of a main dome building surrounded by many smaller domes, 22 to be exact. The construction of the hotel was done by the Wimberly Allison Tong and Goo. The colouration of the hotel is the most interesting as it is painted in different hues of the Arabian Desert sands. The spread of the hotel is over a huge area that has many dome style hotels that are connected by manicured gardens, arched corridors and beautiful fountains. The interiors are very heavily designed in Arabian artistic style bejewelled with pearls, gold, crystals and exotic wooden furnishings. There are many heritage murals ad carpets in the hotel and the rooms are the most luxurious ones ranging from aristocratic luxury to kingly luxury. The Emirates Palace is one of the iconic establishments of Abu Dhabi that projects the Arabian splendour to the travellers with a magnificent sand castle look during day to a majestic rainbow castle look in the moonlit night. 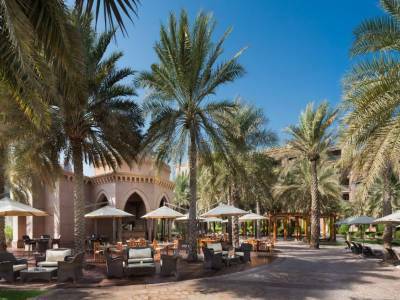 Get quick answers from travelers who visit to Emirates Palace.